Yesterday marked the five year anniversary of writing the First Draught in the Brandon Sun. I can't believe it's been five years already, so much has changed in my life.. yet at the same time not at all! 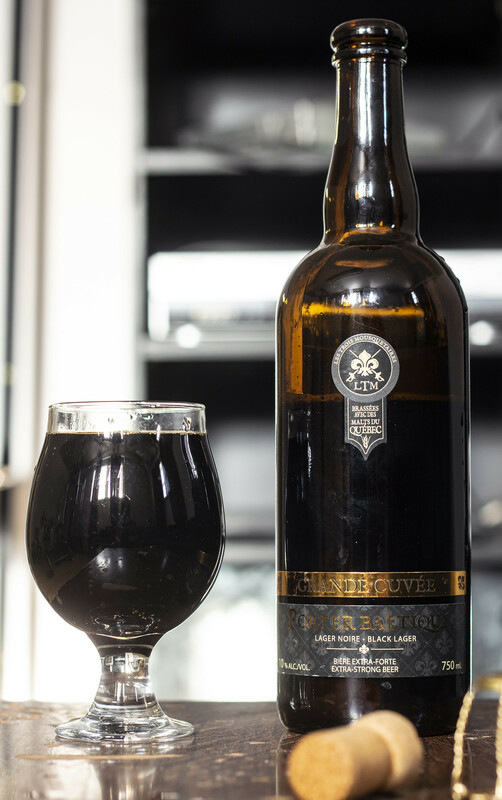 To celebrate, I wanted to review something special and decided on Les Trois Mousquetaires' Porter Baltique Grande Cuvée. Thanks to Chris over at Quality Inn Beer Store in Winnipeg for the beer. I initially reviewed this beer back in December 2012, so after 6 years I think it's a good time to revisit the beer. Appearance: Pours dark and near black with a very fizzy soda-like carbonation to it. The head starts off with a decent amount of burnt caramel head on top but diminishes within seconds, eaving behind a hint of fizzing on the side of the glass. Taste: Rich and roasty - I get a good deal of roasted malt notes right from the very instant it hits my palate, mildly coffee like and a light amount of peppery spice. Once I get past the roasted notes, I get a liberal amount of booziness that's a bit reminiscent of a fine brown spirit. There's a good amount of caramel sweetness, a bit of a syrupy sweetness and a light amount of dark fruit presence (raisins, figs) but only faint. When I had my initial sips, I found the beer to be very watery on the palate, but once I let the beer warm up a bit, it's definitely getting a bit more syrupy and leaves behind a toffee/roasted malt aftertaste on the tongue with a bit of dryness to it. Overall Thoughts: I'm incredibly biased when it comes towards Quebec breweries but I think this may be one of my favourite breweries in the entire province (and Canada). This beer is sweet with a good deal of roastiness, and with it being -22C right now.. definitely warms the body up a tad thanks to the 10% ABV rating. I wish this came to Brandon but for some reason the MLCC hates this city or something.. After all these years, this is an amazing representative to the Baltic Porter style, possibly one of the best in the world!